App developers must have an incredible store of optimism. There’s so many apps out there. To trust that your product will stay on the surface, become a hit, stand apart from the rest, takes true belief. And maybe a little help. Or a lot. Help is what Ooomf hopes to provide mobile applications. The Ooomf website (and the iOS mobile app coming soon) wants to help in two fundamental ways. First, by directing user traffic to discover apps. Second, by enlisting users to become directly involved in the creation and improvement of promising apps. Ooomf aims to help users find the best apps more quickly. 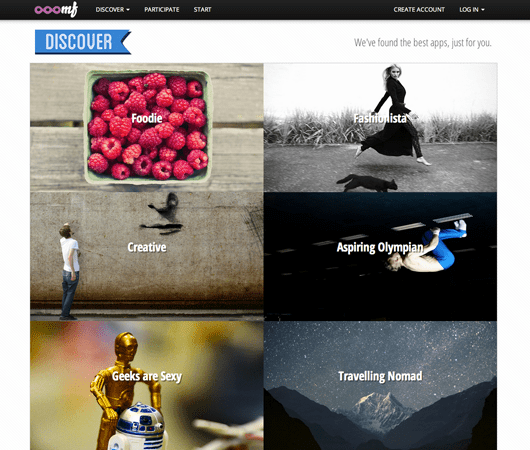 The site functions as a curator, offering collections of apps. This model spares the app seeker the chore of sifting through the great sea of possibilities. Putting the most interesting, the most useful, the most entertaining apps within easy reach is a great service on its own. Ooomf highlights apps already on the market as well as apps yet to be released. But you can’t have the company name Ooomf without delivering a little more oomph. Of course, discovery is only a piece of the equation to launching an app that stands a chance of having a decent shelf life. For starters, an Ooomf toolbox gives developers equipment to refine their product. A sneak peek of apps helps companies find beta users and gather both useful data and feedback before a more large scale launch. Think of Ooomf’s “coming soon” collection of apps as the equivalent to a soft opening for a restaurant, a chance to give the audience a taste of what’s to come while keeping the leeway to refine recipes and service before opening the doors to everyone. What sets Ooomf apart from other app discovery platforms is they way it allows visitors to become directly involved in product evolution. Here, Ooomf draws from the Kickstarter model in the sense that it encourages people to lend support to the projects they want to see completed successfully. 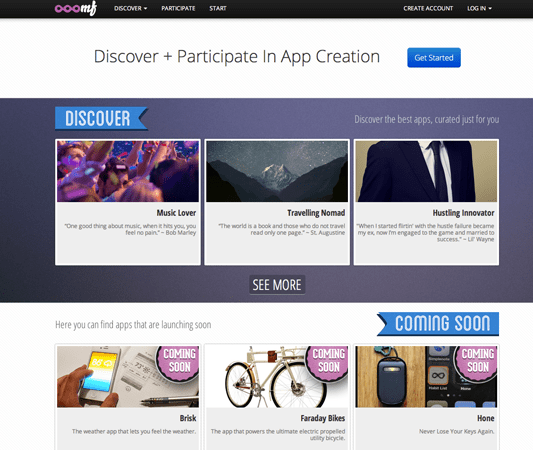 Ooomf allows users to help in the app building process. 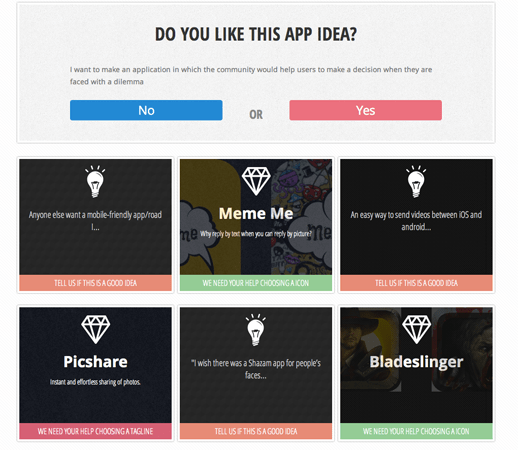 Submitted apps may pose direct questions to users, ranging from “Do you think this is a good idea?” to “Which Icon do you prefer?” Developers can elicit reaction to any aspect of the application that might be of concern–concept, design, function, etc. Crowdsourced feedback and free crowdsourced development. Pretty slick. Where do you find Ooomf? The team behind Ooomf is based in Montreal. The app arrives fresh out of the spring session of the FounderFuel accelerator program. Real Ventures and BDC Venture Capital, along with unnamed angel investors, led a $500,000 round of seed funding to give the company its own lift. Co-founder and CEO Mikael Cho graduated from the University of Wisconsin, Madison, with a degree in Psychology and interest in Pre-Medicine. Maybe he studied enough to recognize he carried the incurable entrepreneur bug. Prior to founding Ooomf, he also launched UberFoundry and Kuuala. Let’s hope Ooomf allows him to manage his startup condition.